Valentine’s Day 2017 is only three days away. Here are details on a few Santa Cruz and Monterey County dining options; I’ll publish more tomorrow. 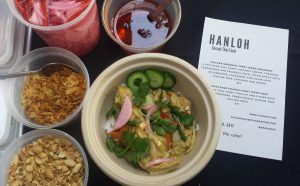 Midtown Café (1121 Soquel Ave.) is hosting a popup dinner with Hanloh Thai from 5:30-9 p.m. A la carte dishes for sale will include a lettuce wrap, two types of curry (chicken Masaman with tamarind, cinnamon, cardamom, lemongrass and more; vegan sour orange curry with mushrooms and other veggies), and black sticky rice pudding and coconut custard for dessert. Prices will be $3-12. There will be local craft beer and wine available. 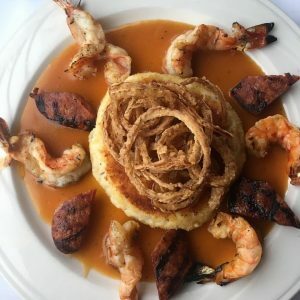 The Chaminade (One Chaminade Lane) will serve a three-course dinner on Valentine’s Day from 5-9 p.m.; the price is $65 exclusive of tax and gratuity. Three first course options include lobster bisque or braised pork belly with fennel jam. Four entrée selections include Osso Bucco or pan-seared Arctic char with lemon couscous salad, candied ginger crème, and roasted cauliflower. Desserts include champagne crème brulee with roasted strawberries. Call (831) 475-5600 for reservations. Buttercup Cakes & Farmhouse Frosting (1411 Pacific Ave.) is doing a “Sweetheart Dessert” fundraiser to benefit Planned Parenthood. The dessert buffet with wine and champagne is from 6-9 p.m.; the price is $20 in advance or $25 at the door. Call (831) 466-0373 for more info. Pour Taproom (110 Cooper St., enter on Pacific) is offering a three-course menu on Valentine’s Day that includes vegan and GF options. There will also be beer and wine pairings. Reservations are recommended for table seating. Call (831) 535-7007 for reservations. The venue is also hosting a Makers’ Market this Sunday from 4 to 7 p.m. that will include gift ideas for Valentine’s Day. Vendors will include Ashby Confections, Turquoise Blue Jewelry, and My Mom’s Mole. Your Place (1719 Mission St.) is offering its Valentine’s prix menu all month long. Cost is $25 for three courses. Appetizer choices include crab cake; five entrée selections include rib eye steak and 4 oz. lobster or meatloaf and mashed potatoes. Desserts include chocolate ganache cake or Meyer lemon tart. Call (831) 426-3564 for reservations. Estéban at Casa Munras (700 Munras Ave., Monterey) is serving a prix fixe dinner on Valentine’s Day, with seatings available from 5 to 9:30 p.m. The five-course dinner costs $100 for two people; wine pairing is $35 extra per person. Featured selections include Kusshi oysters with cucumber mignonette; butternut squash and lobster soup with jumbo prawns and scallops; and duck and foie gras terrine. Wines include Madeleine’s 2012 L’Arsouille Pinot Blanc. A limited a la carte menu will also be available. Make reservations at 831-324-6773. Il Vecchio (110 Central Ave., Pacific Grove) is serving a Valentine’s four-course dinner for $46. First course is a choice between two salads including Sicilian oranges, artisan greens and garlic dressing. Second course choices include house-made ricotta and spinach ravioli or house-made fettucine with sausage and mushrooms. Entrée highlights include tri-tip simmered in Chianti with pearl onions or Saltimbocca Romana. Dessert choices include limoncello sorbet with preserved amarena cherries. Make reservations at 831-324-4282. Edgar’s at Quail Lodge and Golf Club (8205 Valley Greens Drive, Carmel) is serving a prix fixe dinner on Valentine’s Day, with seatings from 5 to 9 p.m. The three-course dinner features appetizer choices including diver sea scallops or Dungeness crab salad. 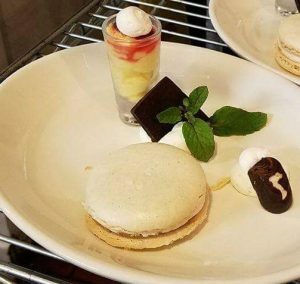 Entrée selections include sea bass with potato rosti and tarragon butter sauce and desserts include molten chocolate cake with raspberry coulis. Cost is $69 per person. Reservations are recommended at 831-620-8910. Bistro Moulin (867 Wave St., Monterey) is serving a prix fixe menu beginning at 5 p.m. The three-course meal is $55 per person; wine pairings cost extra. The regular dinner menu will not be available. 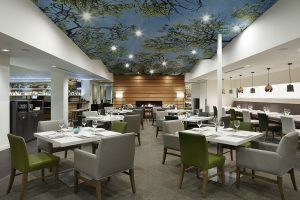 The meal begins with choices such as lobster bisque with crème fraiche and chives with optional pairing of Sheldon’s grenache blanc; or truffle gnocchi with optional chardonnay from Figge. Entrée choices include filet mignon with cognac, peppercorn demi-glace and pommes frites. Dessert selections include crème brûlée and lemon meringue tartlett. Make reservations at 831-333-1200. It’s almost New Year’s Eve 2016-2017! If you’re planning to dine in San Francisco or Napa, here are a few restaurant highlights for New Year’s Eve and a couple for New Year’s Day. Ring in the New Year with family, friends, and an unforgettable view at Top of the Mark! From 7:30 p.m. until 1:00 a.m., enjoy a special reception, entertainment, dinner, dancing, and a Champagne toast at midnight. Start your evening with champagne and hors d’oeuvres including assorted caviar, Tomales Bay & Rockefeller oysters, Spanish Serrano ham carving station, raw seafood selections, and more. Following the reception, guests will enjoy a seated five-course dinner with bottle of Moet & Chandon Imperial before dancing the night away and toasting the New Year with a glass of Moet & Chandon Rose. Rounding out the festivities is live entertainment by Mirage, whose exciting style ranges from Jazz to rock. Formal dress is required. Regular reservations are $400 per person; premium seating is $450 per person. Reservations required at 415-616-6941. Chef Daniel Corey of the Michelin-star Luce rings in the New Year with a five-course menu and optional wine pairing. Guests will enjoy live entertainment from 6pm – 8pm featuring Ricardo Scales and a jazz band will toast the New Year starting at 8pm. Dinner is $159 per person/$234 with wine pairing, excluding tax and gratuity. First seating is at 6pm and last seating is at 11:30pm. For reservations, visit OpenTable. On New Year’s Eve, Presidio Social Club will have a special a la carte dinner menu available, including specials like Foie Gras with Pineapple-Quince Marmalade and Quatre épices; Cannelloni with Crawfish Etouffee and Grilled Andouille Sausage; Black Bass with Potato-Celery Root Puree, Leek Confit with Bacon, and Black Truffle Sauce; and Filet Minon with Bone Marrow, Winter Hash, and Sauce Bordelaise. Presidio Social Club will be pouring from magnums of Charles Heidsieck all night long and a live band will be playing throughout the evening! Call 415-885-1888 or make a reservation through OpenTable. Count down to the New Year at Roka Akor (801 Montgomery St.) while enjoying Japanese robata cuisine and prime-cut steaks, seafood and sashimi. This year, Executive Chef Roman Petry has put together a special dinner tasting menu that will highlight signature menu items prepared on the open-charcoal robata grill. Priced at $138 per person, the tasting menu will feature dishes such as King Crab Legs with chili lime butter; Robata Grilled Wagyu Fillet with grilled bone marrow and spicy sweet garlic soy; and a Sweet Corn with butter and soy. For dessert, a Warm Valrhona Chocolate Cake with almond caramel and vanilla ice cream will conclude the tasting menu. Known for their high quality steaks, Roka Akor will offer an optional $50 Japanese Wagyu upgrade (requires a minimum of two people to order). Additionally, an optional wine pairing with the tasting menu is available for $68 per person as well as a limited a la carte menu. Roka Akor’s New Year’s Eve dinner will be served from 5:30 p.m. until midnight. Please note that Roka Akor will be closed for lunch on New Year’s Eve. 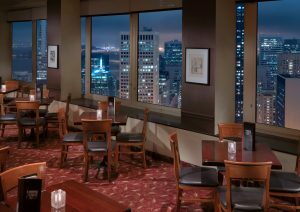 Reservations are strongly recommended and can be made online, in-person, or by calling 415-362-8887. Ring in 2017 on the waterfront at La Mar Cebichería Peruana! With views of the Bay’s famous New Year’s Eve fireworks, the restaurant will offer the below three seatings throughout the night with colorful multi-course Peruvian feasts from Chef Victoriano Lopez. Reservations can be made on OpenTable or by calling 415-397-8880. Third Seating: 8:45-9:30pm, $129 4-course menu with signature Pisco greeting and midnight sparkling wine toast! Critically acclaimed, Michelin-starred French/Californian restaurant Nico will be offering a festive six-course prix-fixe menu for $90 on New Year’s Eve, with special truffle supplements offered with certain courses for $15/each. Beverage Director Maz Naba has also created special standard ($65) and premium ($85) beverage pairings options for those looking to indulge in the last hours of 2016. Visit nicosf.com or call 415-359-1000 for reservations. Featuring jazz tunes by the Dan Daniels Trio, FARM at Carneros invites guests to celebrate New Year’s Eve and choose from one of two seatings (5:30 p.m. – 7 p.m. and 8:30 p.m. – 10 p.m.). Designed by Executive Chef Aaron Meneghelli, two indulgent tasting menus will highlight the end of the year’s best ingredients. The first seating will offer a 5-course menu ($195) with courses such as a Big-Eyed Tuna with seared foie gras and kumquats; and Free-Range Venison from Broken Arrow Ranch with rosemary and bay laurel sourced from the 28-acre property, among others. For an extravagant bite, guests can add two courses that include white truffles and caviar. The second seating, priced at $225, will highlight seven courses, including Hand Cut Pasta with carbonara and Italian white truffles; a lobster course, and more. A special caviar course can also be added to top off the last supper of 2016. Finally, wine pairings for each course are available as well as a special curated bottle list for New Year’s Eve. On December 31, FARM at Carneros will be open from 5:30 p.m. – 10:30 p.m. Reservations are strongly recommended and can be made by calling 707-299-4880 or visiting farmatcarneros.com. Presidio Social Club will be open for brunch on New Year’s Day from 10 am—3 pm. Sleep off the previous night’s festivities before joining PSC for comfort foods like Brown Sugar Cinnamon Rolls, Challah French Toast, burgers, Macaroni & Cheese, and Brioche Beignets. Call 415-885-1888 or make a reservation through OpenTable. Start off the New Year in style with a special brunch at Top of the Mark. From 10:00 a.m. until 1:30 p.m. Chef Michael Wong presents a delicious feast offering something for everyone’s taste. Brunch features an omelet and waffle station, along with Rock Shrimp Eggs Benedict with choron sauce. Also available are small plates and antipastos featuring Smoked Salmon, Grilled Winter Vegetables with spiced buttermilk dressing and roasted pepper sauce, local and international artisanal cheeses, homemade soups, and a selection of salads. Mouthwatering entrees and roasts include Kurobuta Pork Loin with caramelized granny smith apple and calvados cream along with Bone-In Leg of Lamb with rosemary jus. Pianist Michael Athens will provide the musical entertainment for New Year’s Day guests. Top of the Mark’s New Year’s Day brunch is $109 per adult and $59 per child (ages 4 – 12). Reservations are required at 415-616-6941. On New Year’s Day, FARM at Carneros is serving a decadent brunch from 10 a.m. – 2 p.m. Guests can celebrate with bubbly, oysters, caviar, and generous family-style courses. Priced at $45 per person, dishes to indulge in include Sweet Corn Johnny Cake with 72-hour short rib, braised collard greens, and sunny-side egg; and Apple Crumble Coffee Cake with harvest apple compote and cinnamon cream, among others. FARM’s bar also serves a variety of bubbles, fresh juices, and handcrafted cocktails, such as the Basil Gin Fizz with Nolet’s Gin, basil, green chartreuse, and cream; or the Garden Cooler with Rain vodka, fresh fruit, cucumber and lime juice, among others. Regular dinner service is from 5:30– 9:30 p.m. Reservations are strongly recommended and can be made by calling 707-299-4880 or visiting farmatcarneros.com. The countdown to Thanksgiving is on – if you’re planning to dine out in the Santa Cruz area or in Monterey County, here are a few restaurants to consider. Solaire at Hotel Paradox offers an a la carte Thanksgiving menu from 4-10 p.m. The nature/nurture-themed menu highlights local, sustainable cuisine with fresh ingredients. Entree choices include Roasted Turkey with mashed potato, stuffing, blue lake beans and gravy, Slow Roasted Prime rib, Pistachio Crusted Rack of Lamb, and Zucchini Fritters with spinach, red cabbage and chive cream. Other highlights include roasted pumpkin soup, butternut squash salad, and cranberry white chocolate chunk graham bars and miniature pumpkin pies. Call 831-425-7100 or visit hotelparadox.com for reservations. I wanted to also share a fun Hotel Paradox package, whether you’re a local planning a staycation or have friends or family visiting Santa Cruz sometime this holiday season. The Polar Express™ Train Ride package makes it easy to enjoy this seasonal attraction. Afterward, families are invited to snuggle fireside at Solaire for smores and hot cocoa. The “I Believe” package includes overnight accommodations, an exclusive Golden Ticket required for entry to the train, fresh-baked cookies and milk delivered after check-in, a keepsake “I Believe” sleigh bell, and complimentary parking and Wi-Fi. Price is $175 adults/$29 kids. The Polar Express is traveling to Santa Cruz for the first time this season, recreated to match the sights and sounds of the beloved story. It departs from the Santa Cruz Boardwalk. On board the train, dancing chefs will serve warm cookies and hot cocoa to guests, while the Polar Express™ movie soundtrack–including a reading of the story–is played. Santa Claus will meet with each child, delivering silver sleigh bells. Contact the hotel at 831-425-7100 or hotelparadox.com for details. Chaminade has a Thanksgiving buffet from noon to 6 p.m. The cost is $59.95 for adults, $18.95 for kids 6-12, and free for kids under 6. Selections include roast turkey with warm orange-cranberry compote, roasted Dijon-crusted lamb leg with mint jelly, apple cider braised pork loin with dried cherry bordelaise and crispy prosciutto, butternut squash ravioli with porcini crème and roast vegetable bruschetta, several salads, and winter squash soup with toasted pepita seeds. Zelda’s has a traditional turkey dinner plus additional items on its holiday menu, beginning at noon. The dinner includes oven-roasted turkey, sage stuffing, mashed potatoes and gravy, candied sweet potatoes, cranberries and a roll. A 10 oz. adult portion is $19.95, 14 oz. is $23.95. Kids are $11.95 and pumpkin pie is $5.95. Hoffman’s is serving both brunch and dinner on Thanksgiving. Brunch is from 8 a.m. to 2 p.m. and dinner starting at 3 p.m. Your Place has a Thanksgiving buffet from noon to 7 p.m. The cost is $36.95 for adults, $13.95 for kids 6-12, and free for kids under 6. Selections include traditional roast turkey and house-made cranberry sauce, apple pecan bread stuffing, prime rib, honey brown sugar-glazed ham, grilled salmon with lemon caper sauce, eggs benedict (until 2 p.m.), penne pasta Bolognese, roasted beet salad, Caesar salad, pumpkin pie, apple crisp, lemon tart, chocolate cake and carrot cake. Anton & Michel Restaurant will serve its regular dinner menu plus a prix fixe three-course Thanksgiving dinner noon to 8 p.m. There are two choices for first course including spinach and radicchio salad with grilled pears, toasted walnuts, goat cheese and cinnamon-pear vinaigrette. The entrée is roast free-range turkey with cornbread and sausage stuffing, cranberry-port chutney, sweet potato-green onion mash and more. Dessert choices are pumpkin cheesecake and pecan pie. Tea and coffee are included. Cost is $42 for adults and $21 for kids 12 and under. 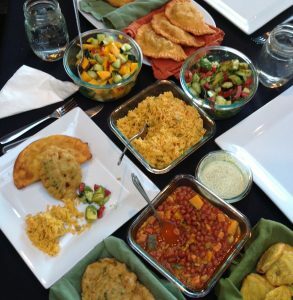 Estéban at Casa Munras is offering a few options for Thanksgiving Day, from 1 to 7 p.m. The last seating is at 6:30 p.m. A prix fixe three-course meal is $48 for adults and $23 for kids 5-12. Chef Thomas Snyder will offer two appetizer selections including butternut squash soup with rock shrimp and piquillo peppers. Customers can choose an entrée of turkey, potatoes, Brussels sprouts and homemade cranberry sauce or Snake River trout with white beans, garlic confit and bacon lardons. These items plus Snyder’s signature tapas will also be available a la carte. Fandango is serving a prix fixe meal on Thanksgiving from noon to 8 p.m. Cost is $38.95 for adults and $16.50 for kids 12 and under. Entrée choices are roast Tom turkey with chestnut sage stuffing and fresh cranberry sauce; roast sirloin with mushroom sauce; Virginia baked ham with Hawaiian sauce; grilled salmon filet with Café de Paris butter; and fresh cheese tortellini with basil cream sauce. Mashed potatoes and vegetables accompany all entrees except the tortellini. 223 17th St., Pacific Grove, 831-372-3456. The Portola Hotel and Spa is serving a Thanksgiving buffet from 11 a.m. to 6 p.m. in its grand ballroom. Selections include California cheeses and cured meats; peel and eat shrimp; carved to order turkey, prime rib and maple glazed country ham; candied garnet yams; Coke Farm beets with feta, pancetta, Marcona almonds and cider vinaigrette; and acorn squash with pomegranate and pumpkin seeds. Desserts will include pecan and pumpkin pie and holiday cookies. Cost is $54.95 for adults, $39.95 for seniors 65 and up, and $25.95 for kids 6-12. There will be live music by pianist David Conley in the ballroom from 12:30 to 6:30 p.m. and football games will be showing in the foyer. Pacific’s Edge at the Hyatt Carmel Highlands will serve a four-course dinner on Thanksgiving with seatings from 3 to 8 p.m. Cost is $95. Selections include butternut squash soup with Frangelico, brown butter and pepitas; roasted beets with buttermilk mousse, pomegranate seeds, wild arugula and pistachio; and Pacific halibut with mussels, clams, heirloom chile bouillabaisse, saffron rouille and foccacia bread stick. 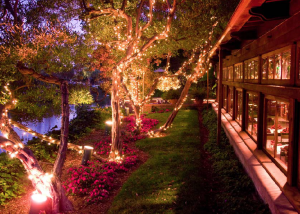 Aubergine at L’Auberge Carmel is serving a prix fixe meal on Thanksgiving, with seatings from 2 to 9 p.m. Cost is $150 per person with optional wine pairings for $110. Selections include white truffles from Alba with carnaroli risotto ($85 supplement); slow-roasted organic turkey; and 21-day dry aged ribeye. Monte Verde Street and Seventh Avenue, Carmel, 831-624-8578. The C at Intercontinental The Clement Monterey is serving lunch and dinner on Thanksgiving. Lunch is 11:30 a.m. to 3 p.m. and there will be a la carte Thanksgiving dishes in addition to the regular lunch menu. Selections include Diestel Farms turkey with Yukon potato puree and sage-brioche stuffing. A prix fixe three-course dinner, from 5:30 to 10 p.m., costs $85 or $125 with wine pairings. Kids 5-12 cost $45. Choices include persimmon salad with Humboldt Fog, candied pecans and pomegranate vinaigrette; matsutake and sweetbreads with parsnip puree and truffle vinaigrette; Niman Ranch natural ribeye with salsify, chanterelle, creamed spinach and sauce bordelaise; and pumpkin upside down cake. There will be live music from noon to 3 p.m. and 6 to 9 p.m. In the evening, a bar menu will be available for bar and patio seating only. Sardine Factory is serving a four-course prix fixe menu on Thanksgiving. Seatings are available between 1 and 8 p.m. The menu includes a first course of butternut squash bisque with toasted pumpkin seeds and maple Chantilly crème and an entrée of all-natural Diestel turkey with sage dressing, pan gravy, cranberry orange relish, Yukon gold and sweet potato gratin, fresh green beans and buttered baby carrots. The menu costs $49.75 for adults, $47.75 for 65 and older, $25 for kids 6 to 12. It’s free for kids five and under. A limited a la carte menu and the regular kids’ menu will also be available. Andre’s Bouchee is serving a three-course prix fixe menu from 2 to 8:30 p.m. Three appetizer choices include Redwood Farm goat cheese salad with baked cheese, baby greens and honey apple cider vinaigrette; and pumpkin soup with brown butter and cinnamon. Three entrée selections are free-range turkey stuffed with chestnuts and winter truffles with mashed potatoes, gravy and cranberry sauce; Bavette (flank) steak; and Monterey black cod with wild mushrooms and cognac reduction. Cost is $46 for adults and $21 for kids 12 and under. TusCA Ristorante at the Hyatt Regency Monterey Hotel and Spa is serving a buffet brunch from 1 to 6 p.m. (last seating is at 5:45). Selections include pumpkin soup; seasonal salads; a carving station with roasted turkey and honey ham; a pasta station; and sides such as green bean casserole and glazed yams with marshmallow gratin. Cost is $55 for adults, $25 for children ages 6-12 and free for kids 5 and under. The price includes one glass of champagne for adults over age 21, or sparkling cider. There will be live jazz from 3 to 7 p.m. The restaurant Shadowbrook offers great discounts and a chance to meet local winemakers on Winemaker Wednesdays, which occur most weeks through May 2017. Every Wednesday a different wine is featured, and customers can meet the selected winemaker from 5-8pm. At this time, a flight of three to four wines from that winery is served in the Rock Room (bar area) and people can enjoy complimentary small bites with their flight. Additionally, a 50% discount is offered throughout the restaurant for glasses and bottles of wine from the featured winery. Although the winemaker is only available through 8 p.m. in the bar area, the complimentary appetizers and half-off wine pricing are available the entire evening. The next winery and winemaker making guest appearances are Alfaro Family Vineyards and Richard Alfaro on Nov. 23. As a special bonus, for any Shadowbrook customers who purchase a bottle of Alfaro wine that night (either to enjoy with dinner or to take home), Richard Alfaro is providing a free wine tasting certificate that’s valid for a future visit to his Corralitos tasting room. Other wineries making appearances in the near future include Naumann (Nov. 30), Roudon-Smith (Dec. 7), and Muns Vineyard (Dec. 14). Because of the holiday season, there are no Winemaker Wednesdays on Dec. 21 or Dec. 28. Seafood Night Thursdays—Order any seafood item on the menu for $18.95. I’ve truly savored the seafood I’ve had at Shadowbrook in the past, including scallops and salmon, and this is reminding me that I’m due for a seafood visit soon! Both specials will be offered through February, and are not valid on holidays. Learn more about these and other delicious offers at shadowbrook-capitola.com/promotions/. Manresa Bread now ships across the U.S. 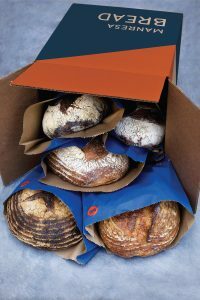 Fans of Los Gatos-based Manresa Bread who live outside the Bay Area are now in luck: starting Nov. 22—just in time for Thanksgiving—the bakery will ship its artisan bread anywhere in the Continental U.S. 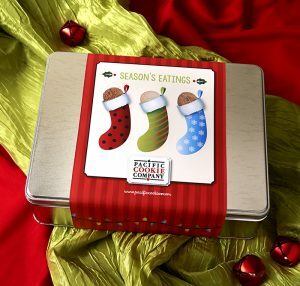 The web site manresabread.com is already accepting orders. In addition to bread, customers can order items like coffee from Santa Cruz’s Verve Coffee Roasters (served at both retail locations, Los Gatos and Los Altos) plus granola and limited edition Manresa Bread coffee mugs. Orders are baked fresh, packed, and shipped on Tuesday of each week to arrive at people’s homes via 2-day, or less, shipping. Deliveries include information on how to store and rewarm the bread so guests can enjoy the product as if they picked it up that day from the bakery. 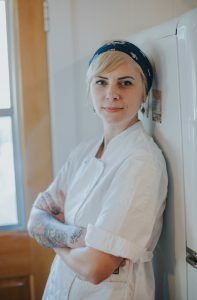 Manresa Bread was conceived by Head Baker and Partner Avery Ruzicka in the kitchen of Chef David Kinch’s three Michelin-star Manresa restaurant. Using high quality, artisanal products, a carefully selected variety of produce and dairy are mixed with house-milled grains, salt, and water to create an assortment of naturally fermented sourdough breads. Organic bread / hard red spring / edison / durum flours. Dates, pumpkin seeds, walnuts. House-milled einkorn, hard red spring, edison wheats. Pinch of organic white flour. Organic White Flour. Fresh Yeast. See manresabread.com for more information.